Suitable for Chopping Kindling and small work also campers, hikers, and other outdoor activities. The blade has thin, wide edge that ensures a clean, easy cut through fresh and resinous wood. The blade is also PTFE coated for protection against corrosion. 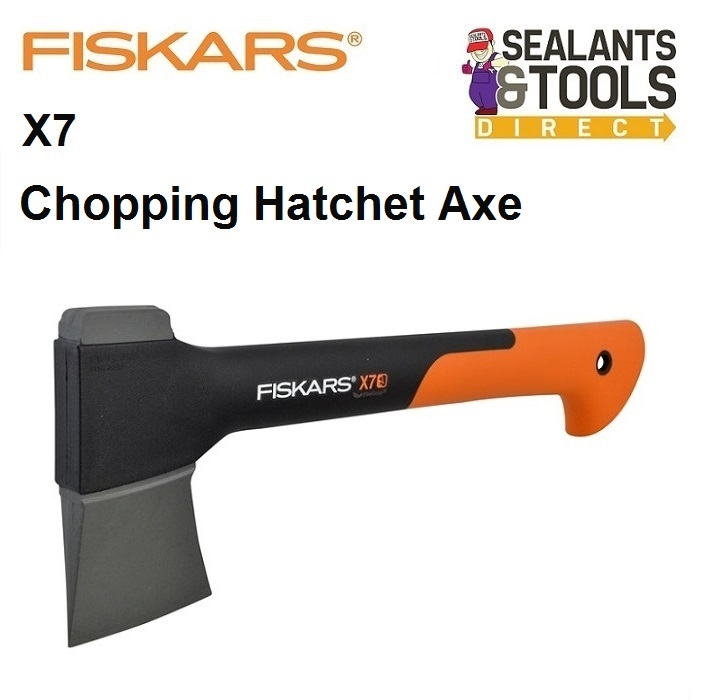 Like other Fiskars axes, this chopping axe features the right balance between the head and shaft for safe comfortable and efficient use. Its ultra light and durable FiberComp™ handle minimises fatigue and makes the axe virtually unbreakable. The axe features an optimal anti shock surface structure ensuring a comfortable firm grip. While the hooked end of the handle prevents the axe from slipping from the hand. Comes with a plastic sheath for easy carrying and also acts as a storage hanger. Now both items are available for purchase separately.